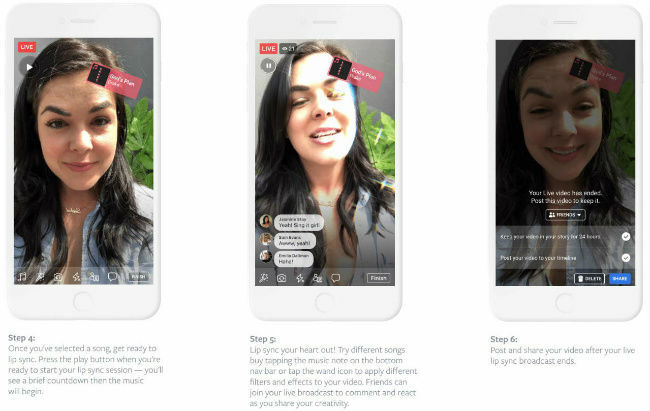 The new option is currently being tested in select regions and will allow users to lip sync to their favourite songs when they do a live broadcast. 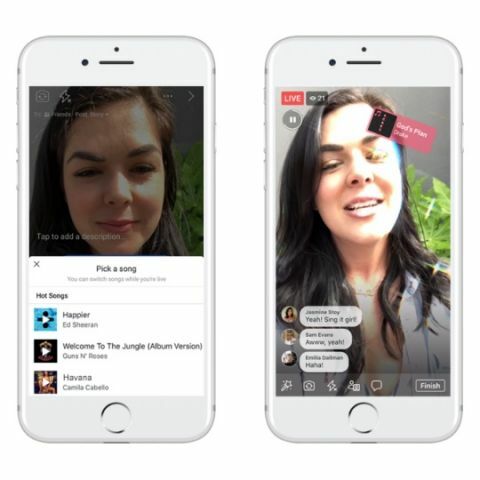 Facebook has announced a new feature that will enable users to lip sync to music videos while doing a live broadcast. 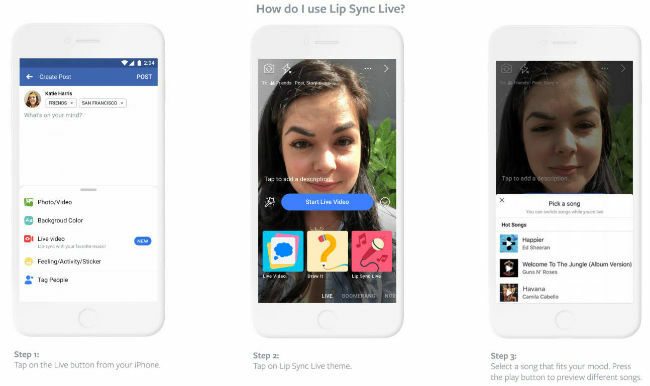 The Lip Sync Live option is not really brand new per se as some other apps like Musical.ly and Dubsmash already do the same and are also quite successful with over 100 million downloads of both apps on the Google Play Store. There is also another feature that will allow users to include music within personal videos. Facebook says that the options are currently being tested in select markets and will be broadly rolled out soon. The company will also soon start testing options for adding music to Facebook Stories. The social media platform wants to keep things fresh for uses by providing an option to include music in their videos. The Lip Sync Live feature comes with various songs ranging from“Welcome to The Jungle” by Guns N’ Roses to new ones like “Havana” by Camila Cabello. The feature can be accessed while going live on Facebook. The user needs to choose a song from the available songs list and if they want, they can also add a description and customise their videos with masks or different backgrounds. It seems like Facebook wants to appease its users with these new features, especially after the Cambridge Analytica data leak, which gave users a reason to #DeleteFacebook. As per a study, the company is already losing users, which is being attributed to the ‘ageing’ of the platform. We think that the data leaks and company’s confession of sharing its users' data with China-based companies like Huawei, Lenovo, OPPO and TCL, might also be one of the reasons for users quitting the platform.